Rabbi Alvin Reines, professor of philosophy at the Hebrew Union College in Cincinnati, Ohio from 1958 until his death in 2004, taught that religion exists because we realize that we are each destined to die. Because our life is finite, with a beginning and an end, we have a need to make sense of our existence. This is our charge as human beings: To find “ultimate meaningful existence” during the limited time we have here on Earth. This is a sentiment which has been broadcast across the world all over the media for the past few days. 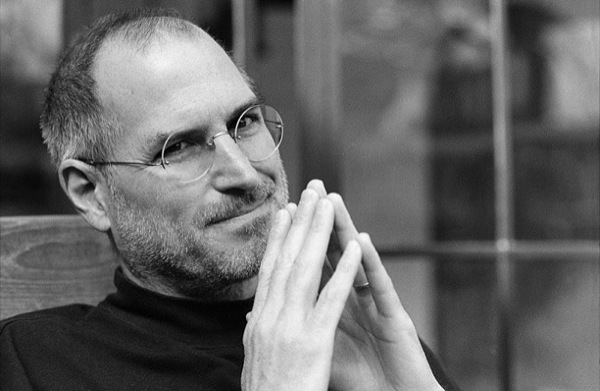 On October 5, just four days ago, Steve Jobs, co-founder, chairman, and CEO of Apple Inc., as well as former chief executive of Pixar Animation Studios, passed away at the young age of 56, after a seven year battle with pancreatic cancer. I personally never met Mr. Jobs. But his impact on me and on millions has been profound. My first personal computer was the Apple II+ back in the early 80’s. I saw my first Macintosh in our high school’s library, and I was blown away by its innovative interface. I’ve owned several Mac computers, laptops, several iPods, and two iPhones. Even if you have never used a Mac computer, you may still own and use an iPod for your entire music collection, or connect on an iPhone. The world is mourning his loss because he gave us a digital age which feels more human than machine. His products were all designed not as computers as much as interfaces to new opportunities and new ways of experiencing the world, whether through the printed word, music, pictures, movies… and he made it simple and unobtrusive. Mr. Jobs lived his life constantly trying to improve himself and improve his work. Last night, Rabbi Weiner charged us to re-prioritize our lives, to ensure that the people and things most valued to us would be front and center in our hearts and minds. Death is a great reminder that if we really want to not live a life of regret and diminishing returns, we need to start now. The single-most tragic thing about Mr. Jobs’ death is that he only had 56 years with our human family—56 years to share his talents, 56 years of love and friendship. Would we all live to 120 as did Moses our Teacher! But our time is but lent to us, and some pass earlier than others. And knowing that each day—each moment—is precious, Mr. Jobs made sure he embraced all the time he had towards realizing his grand vision. Most of us this afternoon are here to remember a loved one who has gone on to life eternal. We are saddened at their loss, whether last week or decades ago: A cherished father or mother, who raised a family of responsible and self-sufficient children; an honored grandmother or grandfather, who gave unconditional and limitless love in many forms; a good friend and mentor who made a profound impact; a brother or sister, who was steadfast at our side when no one else was there; a partner or spouse, whose affections, friendship, and warmth gave us hope and strength; a child or grandchild, taken away from the world too soon. The point is, any time death comes, it comes too soon. The octogenarian has wisdom to offer, but still much to learn. The adolescent who thinks he or she knows everything already, has so much more to experience. Each of us can learn more, grow more, love more. If the lives of our loved ones are to truly be a blessing, we must use this hour of Yizkor, of remembrance and memorial, and reflect on all that was good and enduring in their lives, and ensure that those cherished values are perpetuated to the next generation, and out into the world. And when we leave this space together, after having joined as one family in mourning, leaning on one another for support, we need to live each day as a living tribute to those who have gone. This doesn’t mean dwelling in sorrow for what we have lost, but rather taking heart that our loved ones gave us the best of themselves, and have inspired us to become better, and live our lives more fully. We are saddened by loss. Living our lives as they might have dreamed of doing will encourage us. An indelible impression was left on our hearts. And our hearts beat more fully with their memory. Our loved ones are our foundation. They were “amazing human beings” to us. When we remember them, our foundation grows ever stronger. And we honor them when we not only recall their memory, but when we embrace that memory, allowing it to inspire us to be better people. On this Yom Kippur afternoon, let us try to find some comfort and solace in the face of loss. Let us be emboldened by the legacy left to us by our dear ones. And Let us find healing knowing that our loved one’s memory will endure as long as we remember.